Chickens are a perfect pets and thats why I have 4 silkies. 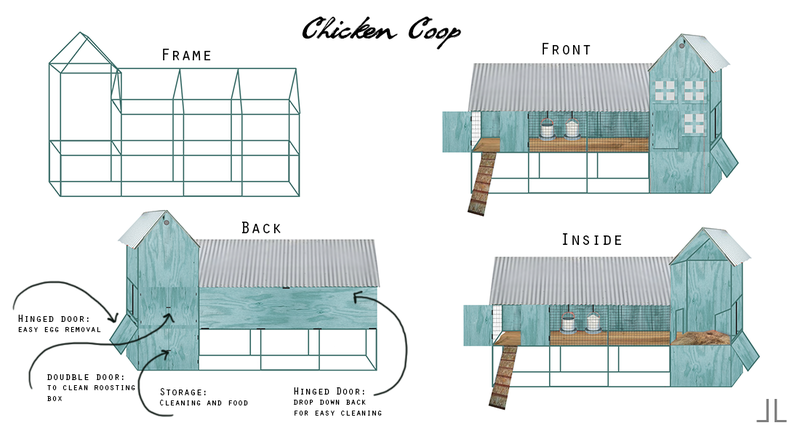 My family friends wanted to join the club and I was asked to design/build a coop for them. I came up with these plans plus, I had little add-ons that are not shown. Once the plans where drawn up, they got cold feet and decided chickens where going to be to much work. So here I'm left with these plans, I would have loved to see the real life results. Oh well, anyhow I have posted these in hopes someone could use them or in the least get an idea. Enjoy!